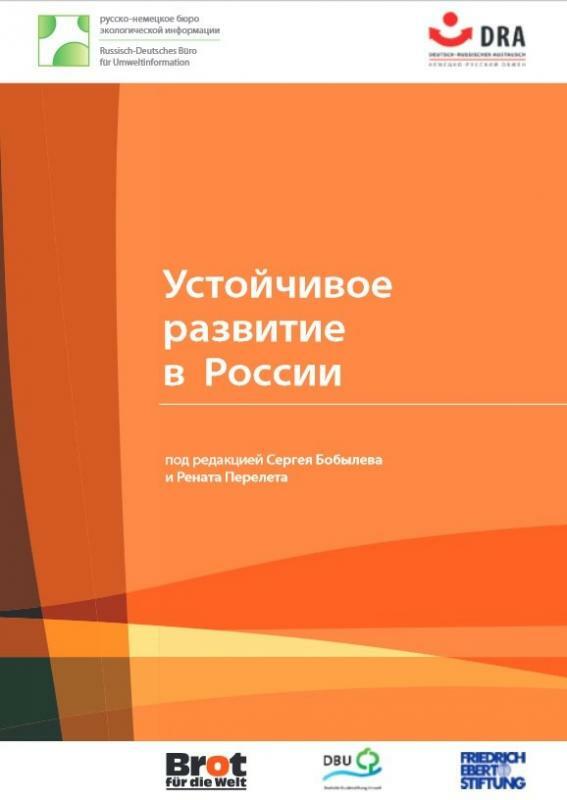 Angelina Davydova (Russian-German Environmental Information Bureau, St. Petersburg) has introduced a collection of articles entitled "Sustainable development in the Russian Federation", covering the spectrum of issues related to conditions of development of the green economy in Russia and experience of already implemented green solutions. Georgy Safonov (Higher School of Economics and the Center for Environmental Innovations, Moscow) presented results of research on effects of climate change in Russia, where he showed existing and expected damage in different sectors of the Russian economy associated with climate change. In all Federal Districts except the Northwestern one, crop yields decrease and further reductions are projected. Productivity growth in the Northwestern Federal District is so insignificant that does not compensate for the losses in the whole of Russia, which may reach 17 % of the current level by 2050. More frequent natural disasters have brought far more damage than expected. Only Amur flood in 2013 (according to official figures) brought over 1 billion US dollars of losses, affected 168,000 people, and destroyed 370,000 hectares of agricultural land. The climate change exacerbates the problem of forest fires. By 2040, if there is no effective forest policy preventing broad-scale felling, maintaining proper age structure of forests, combating diseases, forests can no longer play their role in maintaining the carbon balance, and carbon release by forest will exceed carbon absorption. Georgy Safonov believes that damage to the Russian economy from the effects of climate change in a few years could reach 0.2 - 0.7 trillion dollars per year (in current prices). Alexei Kokorin of WWF Russia believes that climate policy of the Russian Federation in recent years can be described as "decorating shop windows." He says: "Of course, we must not forget the efforts of a small group of "climate optimists" including a number of researchers, NGO experts and journalists who promote the theme, including specific practices of low-carbon development in Russia, which still produce results." Olga Senova of the Russian Socio-Ecological Union spoke about the steps in the field of energy efficiency in Russia, about implementation of the State Programme of energy efficiency and energy saving by 2020. According to the expert, it is important that the resulting energy savings were used to replace dirty energy sources. For example, only the volume of electric energy saved during implementation of the State Programme during 2010-2020 will be about 630 TWh. This compares with production of energy at the largest power plants in Russia: Leningrad NPP (28 TWh per year) or at the Surgut GRES (39 TWh per year). Energy efficiency is the most big, clean and cheap energy source, and it shall replace energy facilities which bring damage to the climate.